Front -1" / Rear -0.5"
MPT now offers options to lower your 2013-2014 Ford Fusion FWD. Let us help you make the right choice. Eibach's Pro-Kit Performance Lowering Springs are engineered to lower and hold your Fusion's center of gravity. This is performed through ensuring reduced squat during hard acceleration, less body-roll in cornering situations and by lessening excessive nose-dive when applying the brakes while coming to a quick stop. The "Pro's" of the Pro-Kit don't stop there. 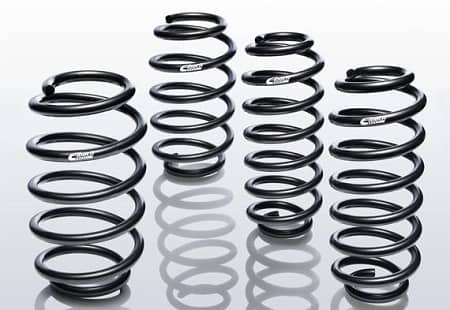 Not only will it perform better, but your 2013-2014 Ford Fusion will look great with these upgraded springs. By Reducing what is commonly referred to as "wheel-gap", or excessive fender-well clearance, this kit lowers your car which makes the tires look more flush with the body of the vehicle. When this is done you will notice a more aggressive appearance. Some will choose to pair this upgrade with larger wheels, which can not only change the dynamic of driving your Fusion, but also add to the over-all good-looks of your sleeper sedan. 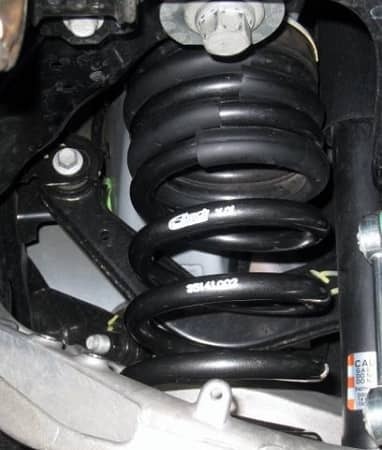 This set of springs does not provide a large drop, just enough to ensure that any performance capabilities that can be squeezed out of the rest of the stock suspension geometry is put to full use without over-working the stock shock-travel. Please make sure you get your vehicle aligned after having any suspension work performed. Stock ride height from Ford. 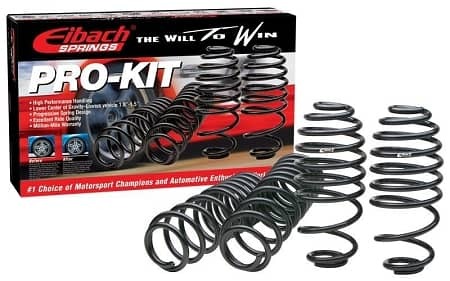 Front will be lowered -1"
Rear will be lowered -.5"
Eibach provides a "Million Mile Warranty"
Click Here for further specifications from Eibach on the Pro-Kit for the 2013 and 2014 Ford Fusion.